We have just received this letter from the North Pole! I will be passing through the Uwchlan, Upper Uwchlan and West Pikeland areas on Saturday, December 15th. My reindeer are resting for Christmas, so my friends from the Lionville Fire Company will be giving me a lift. I do not know exactly when we will be passing by your house, but just listen for the sirens! I will not have your presents, but my Firefighter friends will have some treats for you! 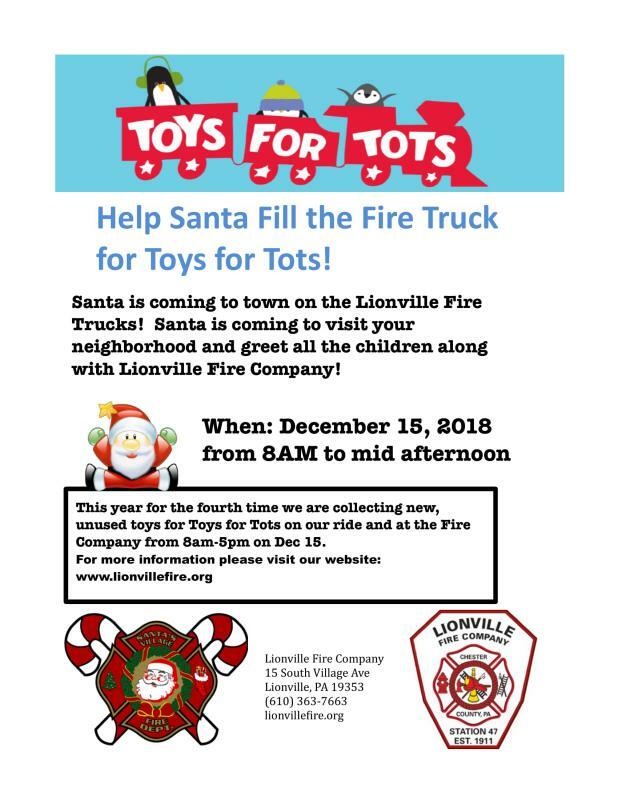 In addition, we will be partnering with Toys For Tots to collect new, unused toys when we are escorting Santa around town!